There has been a lot to say about the customer experience lately... The retail industry is going through a massive shift dictated by the digitization of today's consumer habits. If you want to keep the customers coming back to your physical retail space, an exceptional shopping experience is a must! In my early twenties I worked as a visual merchandiser for the Gap stores in NY, before this I had a very limited idea of what went on behind the scenes in retail, let alone the fact that people worked overnight shifts to transform environments every time that new merchandising arrived, during sales events, or seasonal changes. In retail it is fundamental to display and promote products in ways that encourages sales, and that is the basis of visual merchandising. It is the foundation for the in store shopping experience, along with customer service, and the knowledge of your customer's needs, it can make or break your business' success. What is your company's mission? It is important to differentiate your business from competitors, and that is exactly what telling your particular story will do. 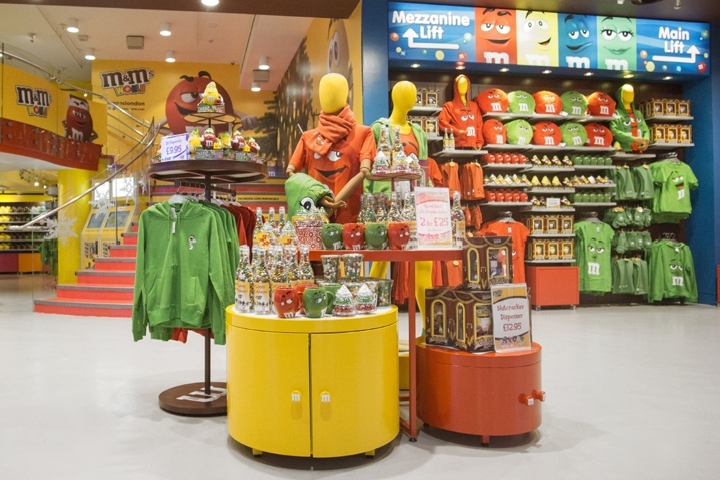 Stories make us feel and connect to something, forge a stronger bond with customers by telling stories in compelling ways throughout your visual merchandising. Take a look at how these two vitamin brands are revolutionizing their industry Care Of and Hum Nutrition. They tell the stories that matter to present their unique selling proposition and connect to customers in a human level. It affects our minds in sort of mysterious ways, like suppressing appetite or changing your mood. In communication design, color is vital, helping us express a message, it draws attention and guides the eye through a journey. To create interesting and eye-catching displays, consider the concept of contrast to present products or create sections within the store. Also pay attention to the season's trending colors. Here's a great tool from Adobe that will help you create balanced palettes, and explore what colors are trending within their international creative community. No one likes a mess, it is stressful and frustrating. Creating systems that will make your products easy to find is a primordial part for your customer experience. Grouping products with seemingly related items will encourage your shoppers to buy more and it will save them precious time. For example this month was the 5 de Mayo celebration, if you own a supermarket or grocery, chances are that ingredients for tacos, margaritas, guacamole and all that jazz, were hot selling items in your store. Did you dedicate a space to offer all this ingredients together? If so you are already an organized retailer, and you know that this idea applies to almost every major holiday throughout the year. Where would you like to draw your shoppers to? Is there a special sale going on, or a new item arrival? 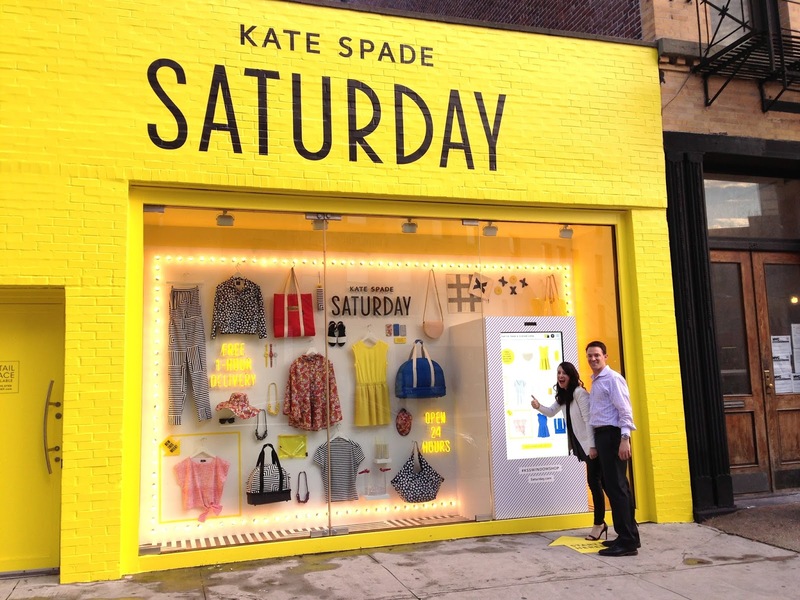 Hot spots are focal points to guide the shopper's journey throughout your store. These can increase sales up to 229%, but make sure to be mindful of how you use these, abusing this resource could make your customers feel overwhelmed and confused. Appropriate lighting sets the store's ambiance and highlights specific spaces and products. You can invite customers to experience moods and emotions, whether it is a brightly lit store to evoke a clean and modern feel, or a more intimate space with softer lights. Music is another important resource, it can strengthen the impact of your products, and creates the right atmosphere within the store to reflect your brand's personality. Be conscious about keeping the right tempo and volume, and try to match the music with the visual elements, since these will definitively affect the perception of shoppers towards your products. Here's an affordable and easy option to keep the music going in your store. It's reported that 75% of people's emotions come from what they smell, and they experience a 40% improvement in their mood when they're exposed to a pleasant fragrance. Having a unique scent in a store can differentiate your brand and trigger responses. Here's a brief list of scents and the emotions which they compel. 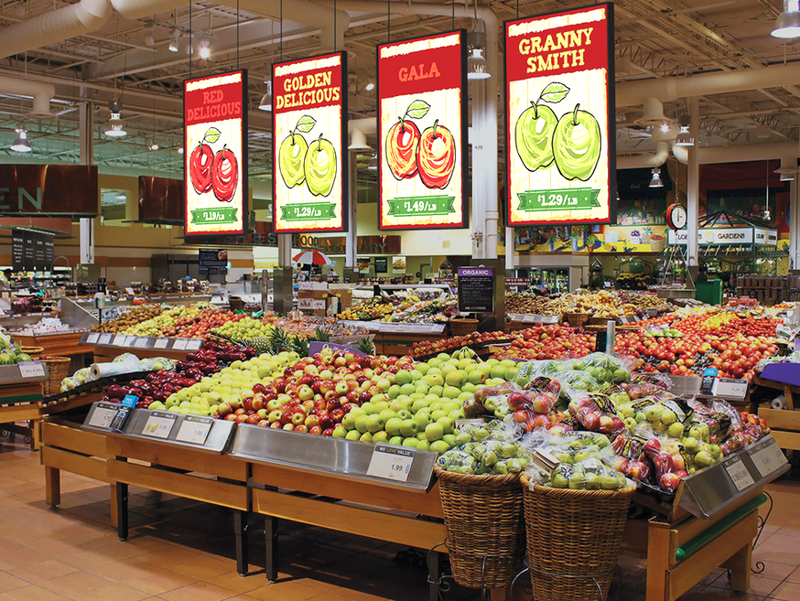 The use of graphics and images is a very effective way to communicate with shoppers. Use text to inform customers about sales, specials, ingredients, services, or anything else that could help make your products more attractive to potential customers. Try to maintain your brands identity consistent all throughout with your choice of fonts and colors, and always keep messages short and clear. Empty space must also be considered and used strategically to complement displays and maintain a balance. 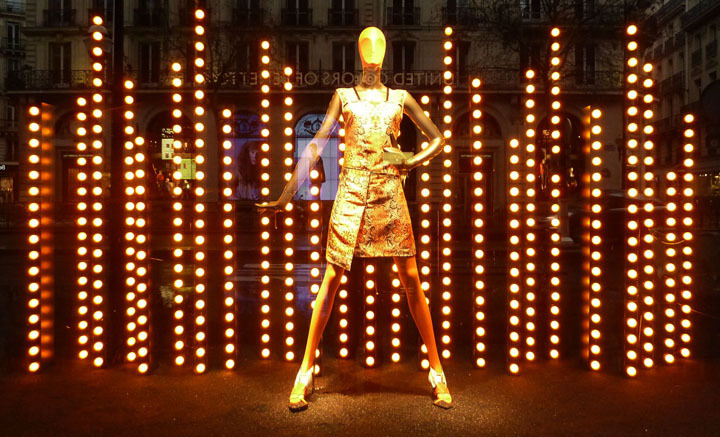 Last but not least, of all visual merchandising resources, window displays usually present the first chance to attract potential customers into your store. As it goes for first impressions this is a great point to present what your store is all about and give a glimpse into what's going on inside. Be playful and think outside the box, it doesn't have to cost a fortune, most of what you need is already within your reach and it is just a matter of getting a little creative. The internet is an endless source for inspiration, use Pinterest boards to collect ideas, and take a look at what other successful retailers are doing. Also Here's a great blog that you can reference to for fresh ideas. At United Store Fixtures we provide all the necessary tools to step up your visual merchandising game, be it anything for slatwalls, gondolas, display units, showcases, or mannequins you can find it through our online catalog or in our showroom! We're passionate about the retail space, that's why we provide the best business solutions to our customers.